Published by UCCA/Koenig Books Edited by Karen Marta, Brian Roettinger. 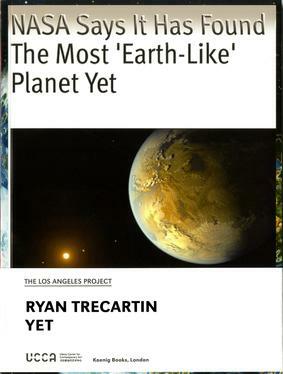 For his first artist book—published to coincide with the exhibition The Los Angeles Project at Ullens Center for Contemporary Art, Beijing, in 2014—Trecartin compiled over one hundred composited images he created by mining his personal Instagram and Snapchat feeds, screenshots, and photos, all captured and archived in his phone. While developing several new bodies of work that encompass video, sculpture, and installation (which debuted in Berlin and Los Angeles in late 2014) Trecartin collected images which functioned as both reference material and conceptual pivot points for these expansive group of works. While Yet started with the premise of communicating visually with an audience who does not share the same language or cultural references, it evolved into a creative document of the images and ideas that fuel Trecartin’s artistic process.